You are here: Home / News / Latest News & Offers / Gift Ideas for Mother’s Day! With Valentine’s over for another year, our focus has now turned to Mother’s Day on 27th March. We’ve put our heads together and come up with some craft related ideas for unique and personal gifts for arguably the most important woman in your life. You can’t get anything more personal than a handmade card, and our brand new Card Blank Classpack is ideal for creating the perfect Mother’s Day card. 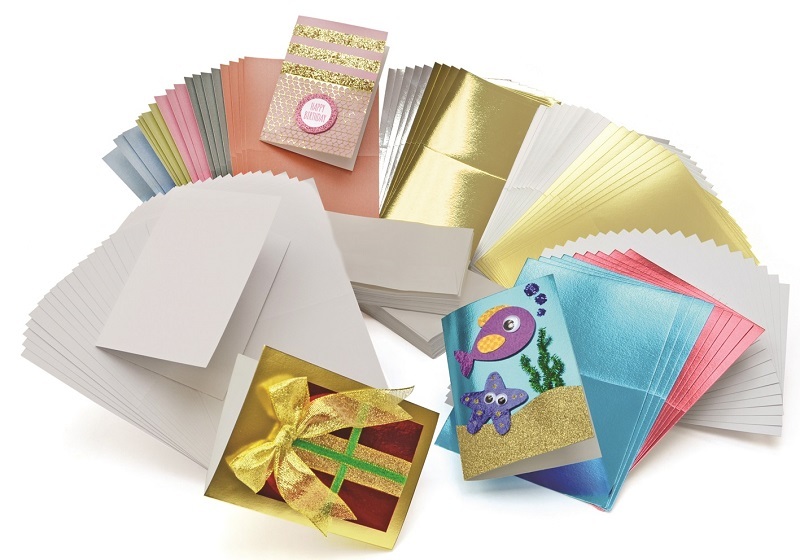 Each pack consists of 100 x C6 card blanks in a variety of different colours and finishes: 20 x pearlescent, 20 x mirror board, 20 x white hammer finish, 20 x white linen finish, 10 x gold and 10 x silver. Why not make your mum a special card that she truly deserves? If your mum loves creating her own jewellery, then our jewellery making kits could be perfect for her! Our standard kit contains enough components to make 20 bracelets and 24 necklaces and is available for £22.80. 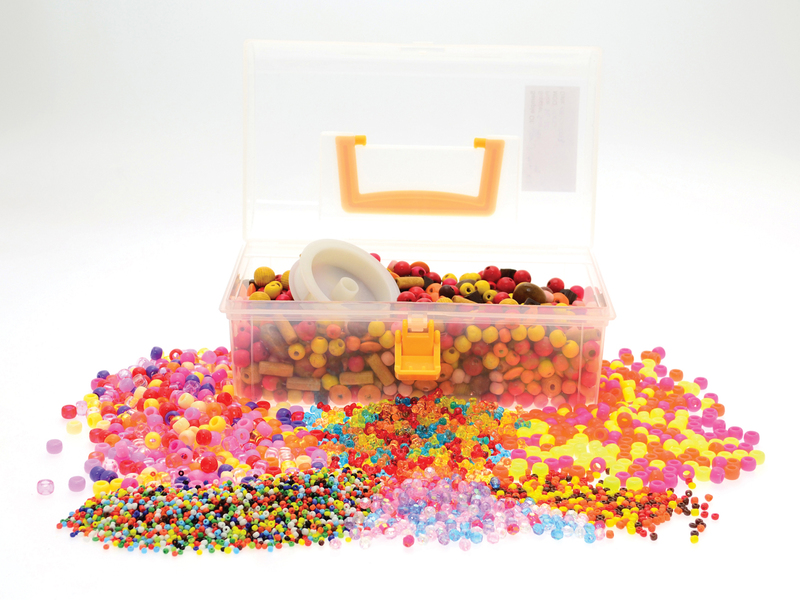 We also have a range of chunky jewellery making kits that consist of hundreds of beads in several different styles, both plastic and wooden. There are three different themes in this range – bright, warm or cool colours – and each kit costs £29.40. 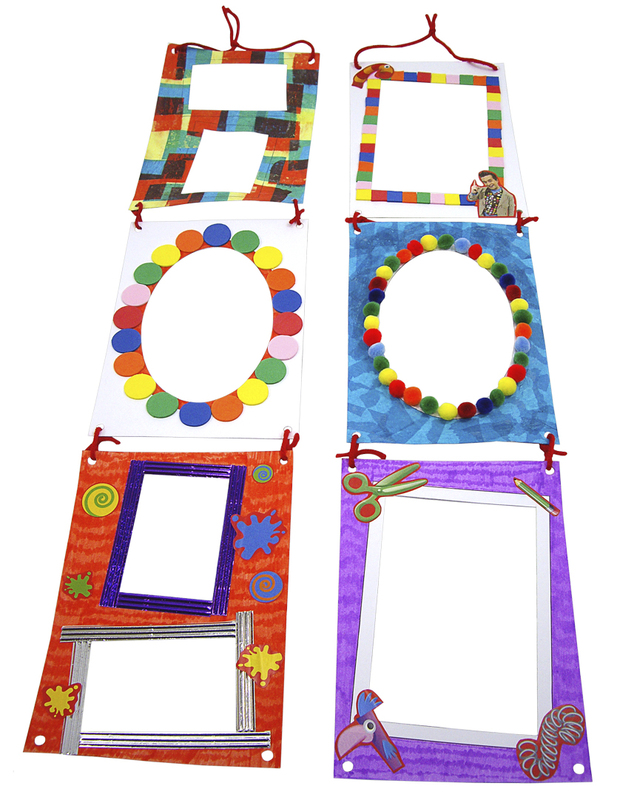 Our Mister Maker Collage Frames kits are perfect for creating unique and personal frames. Each kit can make up to 6 frames and everything you need is included. Why not give your mum an extra special present by creating a personalised frame for one of her favourite photos? Natural History Museum Butterfly Mobile. If your mum loves nature then our Natural History Museum range of craft kits could provide the perfect present. The Make Your Own Butterfly Mobile is a particular favourite of ours as it includes 50 coloured card and 20 printed butterflies to hang on a beautiful mobile either in your garden or home. Each kit also comes with a spotter’s guide so that you can easily identify butterflies that you happen to come across. Perfect for any mums that love these beautiful insects. All of these products are available to buy directly on our Creativity Crafts website (link below) or through our catalogue. If you would be interested in stocking any of these products as a retailer and would like further information you can contact us on 01384 485550 or sales@cilimited.co.uk. The Education Show 2017 Top 5 Easter Crafts!